All of us have dreams and goals in life, but certainly not all of us have a concrete personal financial plan to help reach these goals. 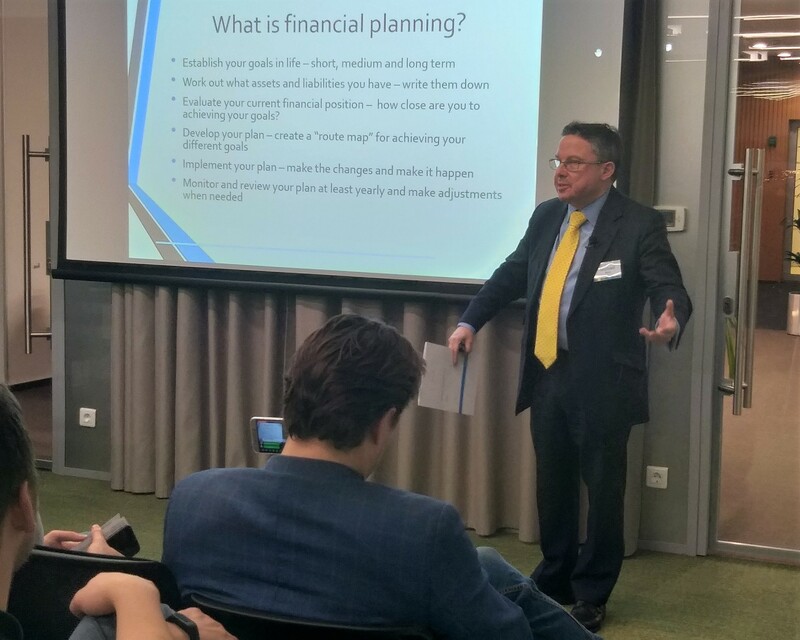 To discuss financial planning in detail, CFA Association Russia invited Michael Barry, a director of the financial planning firm AVC Advisory, to an evening seminar held at EY Academy on January 24. Following brief opening remarks Vladimir Tutkevich, CFA Russia’s executive director, and another CFA Russia’s board member, Anton Shpuntov, brought a little fun to the evening by organizing an online poll. Guests logged into a survey tool and answered a list of questions regarding their personal use of financial plans, as well as investment tools and techniques that they prefer. The results turned out quite interesting and certainly helped the main speaker, Michael Barry, to better understand the needs of an audience. 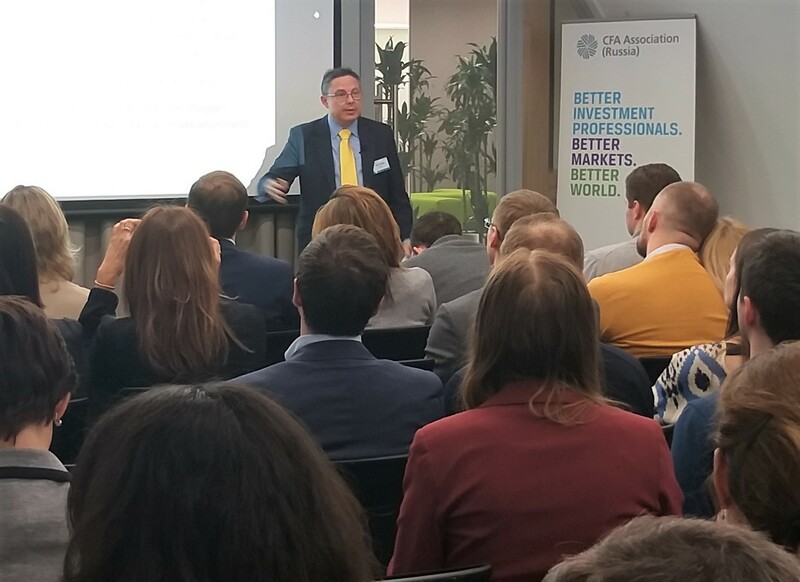 As most CFA Russia guests are “finance geeks” anyways, as the speaker said at the beginning of the presentation, a talk soon turned into a very natural and friendly conversation. Having moved from Britain several years ago, Michael has found his place in Russia as a successful financial planning specialist. According to the speaker, although most people seem to know in theory that they should start saving money for their future, a few start doing it on time and using proper strategies. During a large part of his presentation, Michael looked through the core asset groups, focusing on their average returns and losses over a 43-year period between 1970 and 2012. In his opinion, bonds have proved to be the best bet for long-term investments. However, the speaker warned that a portfolio diversification is a key idea here and investors should refrain from using one particular asset class as their “star” player. Some other important suggestions from Michael included the dedication of between 10 and 15 percent of one’s annual income to future investment, a regular rebalancing of portfolios, having reasonable expectations of profits and, of course, patience. When it comes to becoming a successful financial planning advisor it isn’t simply enough to know all the numbers behind asset classes and investment strategies. Michael mentioned that one of the most important things is to get to know your clients, all their needs, desires and fears, and build long-term trustworthy relationships with them. 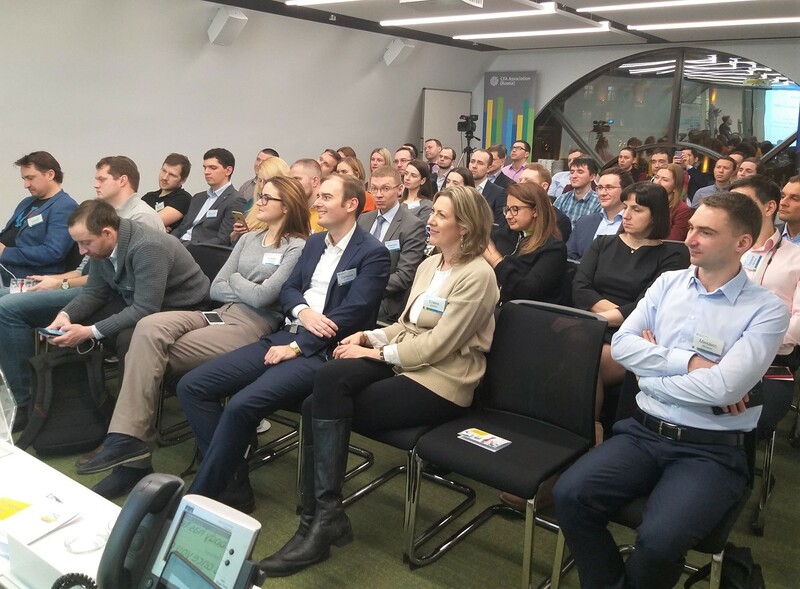 A full video of the event is available to all CFA Russia members. If you are interested in joining the local society and get full access to videos from all previous events, please feel free to contact CFA Association Russia at office@cfarussia.ru.